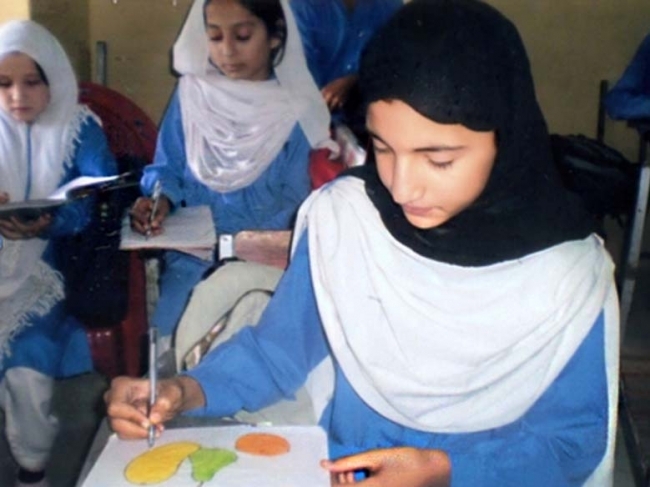 Since 2003, Zakat Foundation of America (ZF) has sponsored Rumi International School, a school for Afghan Refugee children in Haripur, Pakistan. The main objective of the school is to provide quality education to its students while creating programs that cater to the social, mental and emotional development of the refugee children. By the grace of Allah (swt), thousands of students have been educated at Rumi International School. The enrolment is currently at 597 and that number is expected to increase every year. Teachers at Rumi International School prepare students for the Education Board Examination which tests analytical skills in subjects including Math, Science, English and Social Studies. Students are also given the opportunity to take elective classes such as Music, Computer Training, Drawing and Calligraphy, and Art. “My name is Abdullah. I am 12 Years old. I am studying in class 6th. I have 2 brothers and 2 sisters. My brothers are 13 and 14 years old. My sisters are 8 and 9 Years old. When I was 4 years old, my father died in a road accident. I belong to a very poor family. I got admission in RUMI International School in 2008. Now I am studying in RUMI and I am happy I get to learn. My mother is working at home she is netting carpets with the help of my brothers this is the only source of our living. My mother is very hard working lady but nowadays she is ill because of continuous hard work. May Allah bless her with good health. We are very thankful to Zakat Foundation that opened a school for orphan children because of Zakat Foundation I am getting good education. Zakat Foundation provides us school’s uniform, books, stationary and all the required things for my studies. There are countless students like Abdullah who need your help today. Please donate to programs like Rumi International School to provide a child with an education that will last a lifetime.